The above is an example of electronegativity bond scale. 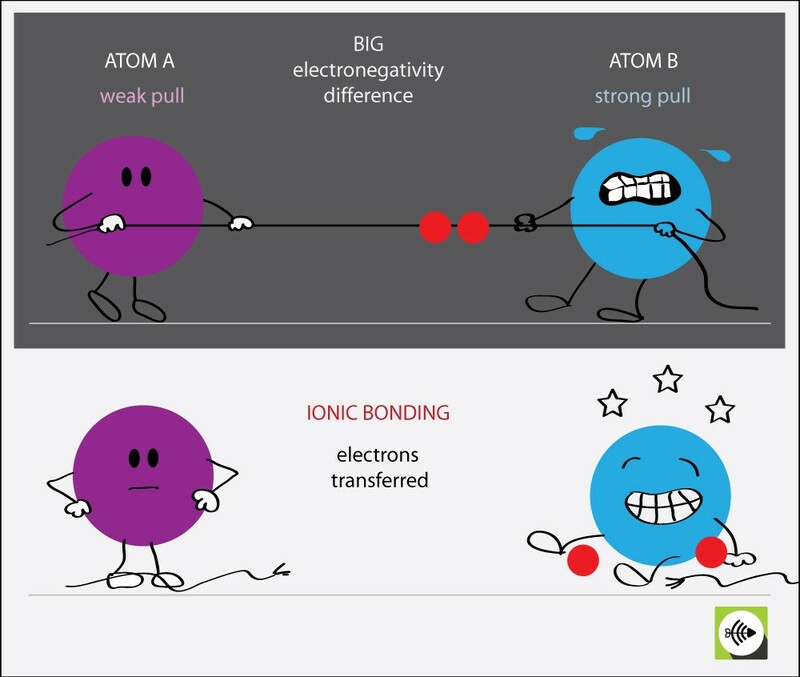 It shows the different types of chemical bonds formed between atoms based on the electronegativity difference. Bond scale varies slightly from text book to text book. 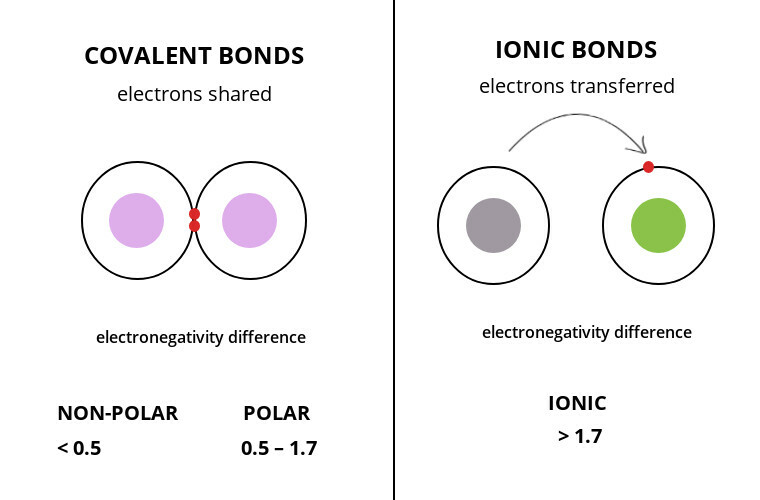 Why electronegativity difference greater than 1.7 are ionic bonds? Each atom has a tendency to attract electrons to itself. When the difference in two atom’s electronegativity is very large, then one atom’s pull is very strong in comparison to the other. This results in the transfer of electrons. 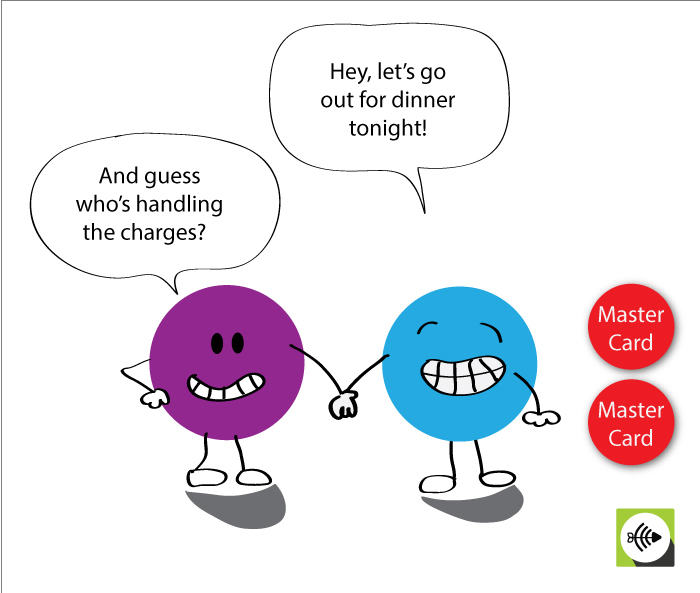 IONIC BONDS are formed when electrons are transferred.